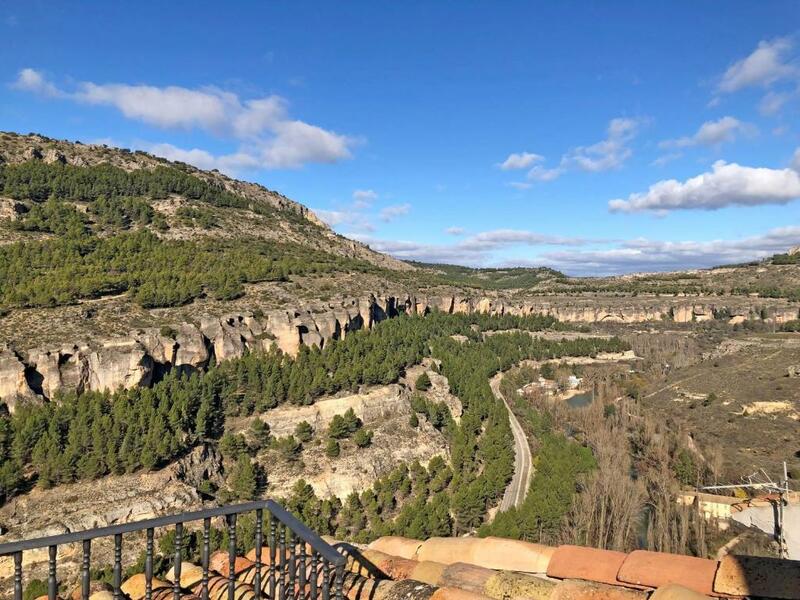 Looking out to the gorge and looking at “ los ojos de la mora”, location, comfort and decoration of apartment. The views, the location was extraordinary from the doorway of the apt. This was such a great place! We loved it. Highly recommend. Very clean and comfortable. The location is terrific, just at the top of the old town, a short walk to the historic sights. 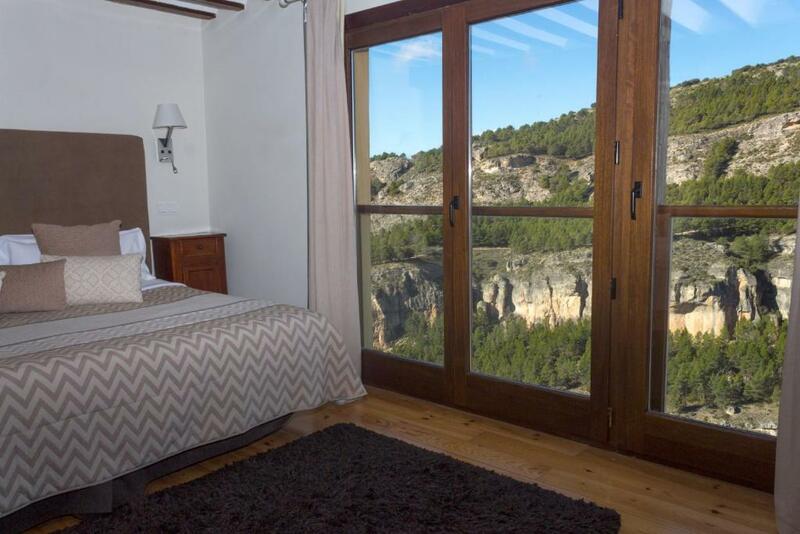 the views from the windows are panoramic over the gorge and river below. If you want to go further afield there is a bus stop nearby. we stayed in the loft apartment for 2 nights and had all we needed, microwave, small hob, sink and fridge. The view from the room was spectacular. The apartment was modern and exceeded our expectations. There was a toaster, microwave and two TVs. The bed was very comfortable and so were the pillows. The roof terrace was great to relax on in the morning and evening. The stairs are steep to the terrace so watch how you go. For free parking drive to the top of the hill. Well equipped kitchenette with some coffee capsules, but that is all. Not many shops in the old town so get everything from the new Town before venturing up to the old town. Only had one day here and found it suited our needs well. The furniture is both old and new and tastefully done. Lock in a great price for Los Ojos de la Mora Apartamentos Boutique – rated 8.6 by recent guests! Offering free Wi-Fi, Los Ojos de la Mora Apartamentos Boutique is located a 5-minute walk from Cuenca’s Plaza Mayor Square. Set in a historic building, these air-conditioned apartments feature stylish modern décor. 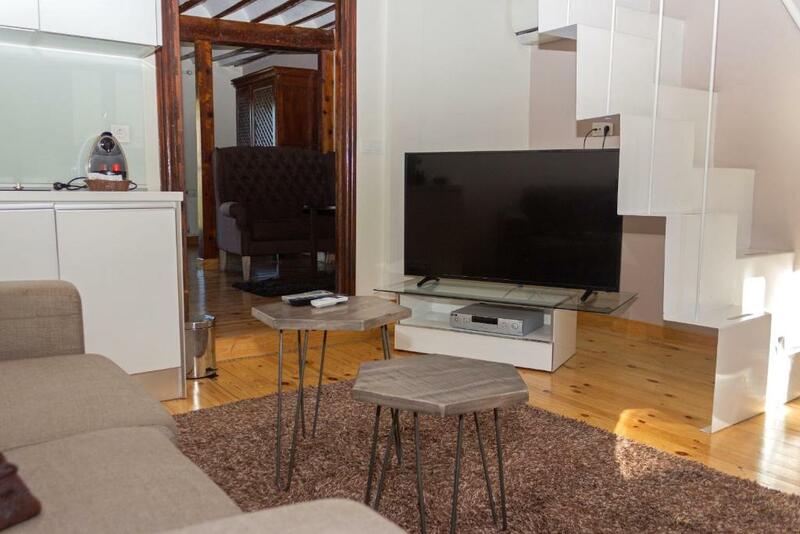 Each apartment has a living room with a flat-screen TV and sofa. The kitchenette comes with a ceramic hob and microwave. There is a bathroom, some apartments offer a spa bath and others hydro-massage shower. 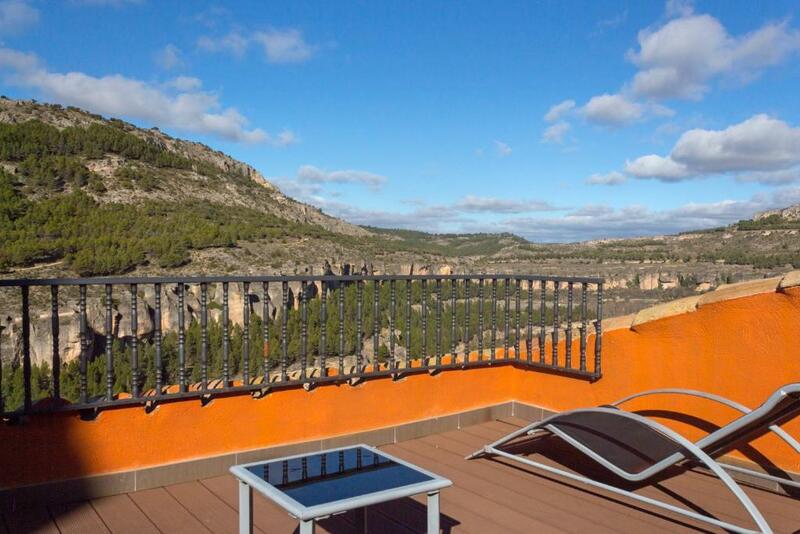 Some apartments also offer a private balcony or terrace with impressive views of the old town. 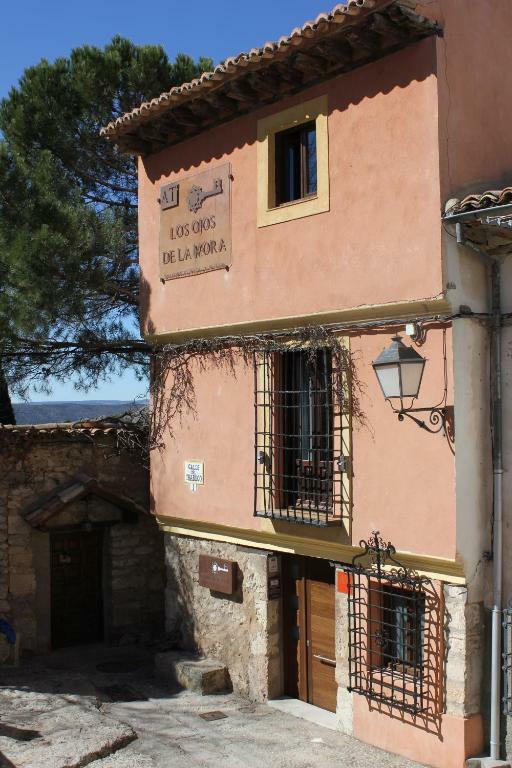 You can find a wide variety of traditional tapas bars and restaurants within a 5-minute walk of Los Ojos de la Mora Apartamentos Boutique. 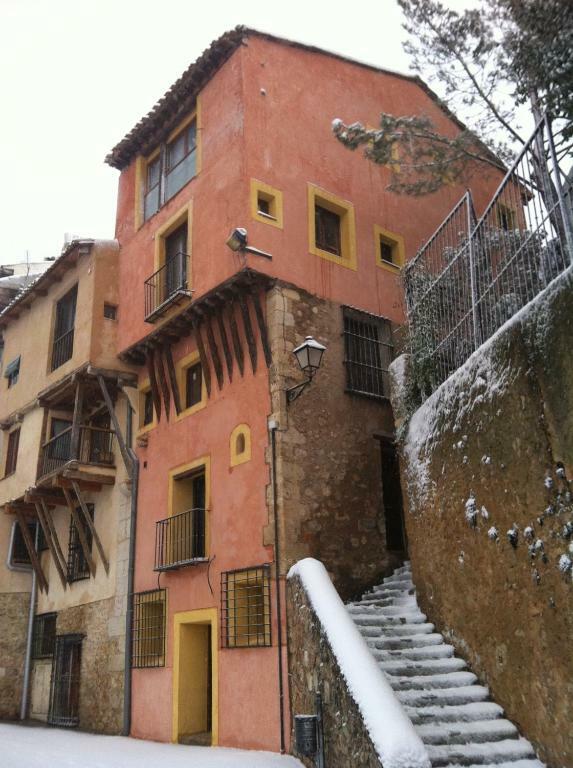 Cuenca Castle is within a 5-minute walk of the apartments. Cuenca Train Station is 1.2 mi away. 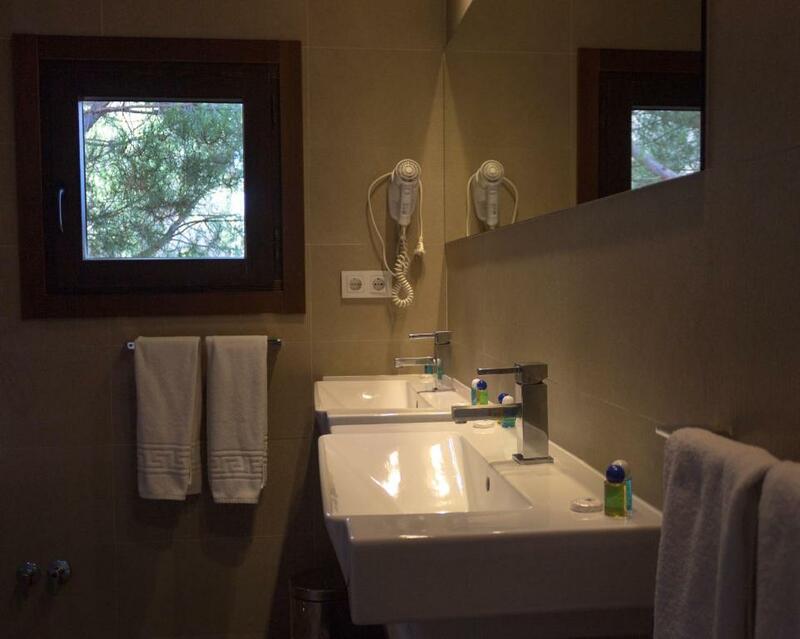 When would you like to stay at Los Ojos de la Mora Apartamentos Boutique? This air-conditioned loft features stylish open-plan design. It has a double bed, a sofa bed and a dining table, as well as a 40-inch flat-screen TV. The kitchen area comes with a ceramic hob, microwave and raised breakfast table. 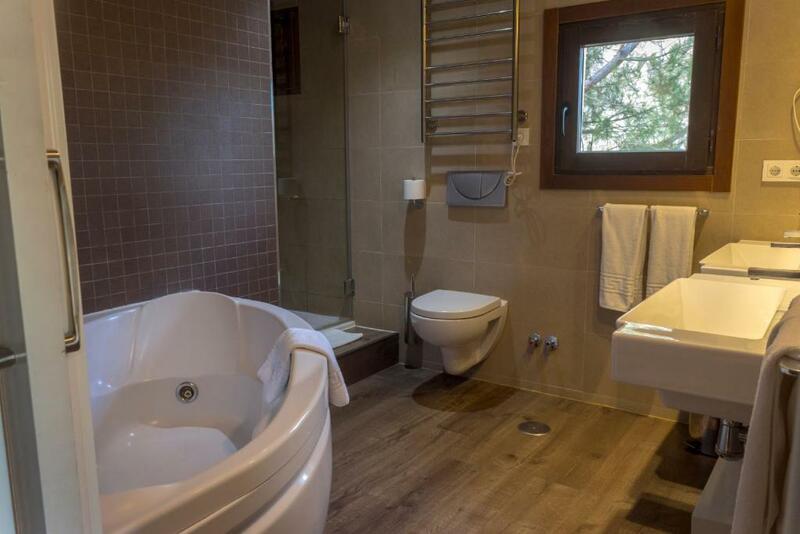 There is a bathroom with a large hydro-massage shower and hairdryer. This air-conditioned apartment features stylish modern décor and a balcony with views of the Hoz. It has a spacious living room with a sofa bed, dining table, and 40-inch flat-screen TV. The kitchen area comes with a ceramic hob and microwave. There is a double bedroom with a balcony, flat-screen TV and an-suite bathroom with a hydro-massage bath and hairdryer. This air-conditioned loft features stylish open-plan design. It has a double bed, optically separated from the kitchenette with a breakfast counter. The living area includes a fireplace, 40-inch flat-screen TV, sofa bed, and dining table. . The kitchenette comes with a ceramic hob, microwave and breakfast bar. There is a bathroom with a large hydro-massage shower and hairdryer. Offering views of La Hoz, this air-conditioned apartment features stylish modern décor. 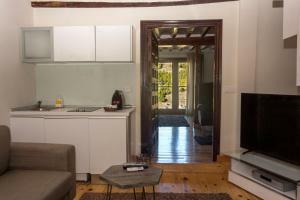 It has a spacious living room with a chaise longue and a dining table, as well as a flat-screen TV. The kitchen area comes with a ceramic hob and microwave. There is a double bedroom and a twin bedroom (this can be swapped for a double on request), both with a balcony, flat-screen TV and private bathroom with hydro-massage shower or bath and hairdryer. Please note that for reservations for 2 or 3 guests, one bedroom will be closed off. This air-conditioned apartment features stylish modern décor and a large terrace with sun loungers and views of Cuenca’s old town. It has a spacious living room with a sofa, dining table, fireplace and 50-inch flat-screen TV, as well as views over Plaza del Trabuco Square and San Pedro Church. The kitchen area comes with a ceramic hob and microwave, and there is a bioethanol heater. The bedroom comes with 1 double or 2 single beds, and features a balcony, 40-inch flat-screen TV, and an private bathroom with a spa bath, hydro-massage shower and hairdryer. House Rules Los Ojos de la Mora Apartamentos Boutique takes special requests – add in the next step! Los Ojos de la Mora Apartamentos Boutique accepts these cards and reserves the right to temporarily hold an amount prior to arrival. If you expect to arrive before 16:00, please inform the property in advance. Any early check-ins must be confirmed by the property. Please inform Los Ojos de la Mora Apartamentos Boutique of your expected arrival time in advance. You can use the Special Requests box when booking, or contact the property directly using the contact details in your confirmation. The cleaning could have been better, wipe marks on some of the surfaces and a few minor maintenance issues need sorting out eg 2 of the light bulbs didn't work and the towel rail for the hand towel in the bathroom was hanging off. These things didn't spoil our visit though and we would stay there again. The bathroom doesn't have a window and when the shower/bath is in use, the steam travels through the apartment, so it is important to keep the bathroom door closed. There could be more electrical points. Great view on the balcony! Room smelt of cigarettes covered by airfreshener. It was in the soft furnishings such as cushions and coverlet. We slept with the windows open, which was fine as it is summer (no mosquito's) but it would have seriously bothered us if it was winter and we couldn't have done that. More plates and glasses needed as not enough of each for four - its clear that broken ones have not been replaced. Kitchen sink tap very loose. Towel hooks in shower broken and floor lifting up. Lots of mould in shower cubicle grout - otherwise bathroom was spotless though. All small details but as its advertised as a boutique experience I was surprised these issues existed. Views were absolutely stunning. House was beautiful traditional old house with comfortable modern fittings. Very clean. Fluffy towels and clean sheets and very comfy beds. We ordered the breakfast kit but they had not received my email. So if you want it keep sending messages until you get a reply. Can't think of anything to dislike about this property. The location, the views and the apartment itself were superb. Lovely design and amazing views. Very high quality fittings etc.